How to deal with adverse weather conditions whilst driving. Drivers rightly think things like poor lane discipline (e.g. not getting into the right lane before a turn-off or roundabout, or failing to keep to the left when not overtaking on motorways and dual carriageways), failure to signal and driving too close are examples of poor driving. However, some people are reluctant to accept that driving too fast is also poor driving. But it is – breaking the speed limit, or driving too fast for the conditions on the road, contributes to hundreds of deaths and injuries every year. You don’t have to be driving over the speed limit to be driving too fast. “Inappropriate speed” means driving within the speed limit, but too fast for the road and traffic conditions. It includes approaching a bend or junction too fast, not negotiating narrow roads properly and overtaking where it’s inappropriate. Inappropriate speed can also be a factor in poor weather conditions and when driving at night. Choosing the appropriate speed is about judgement, most people think they get it right. Sadly, the statistics show many get it wrong. MSL have fitted speed limiters to our fleet of vehicles, restricting the top speed to 68 miles per hour. At 80mph a van uses 20% more fuel than at 68mph. That means that if your van does 1,000 miles in a week and uses fuel at 30 miles per gallon, we are wasting £1,561 per year per vehicle. Add to that higher maintenance bills from all the mis-use; foot-heavy drivers are a serious drain to company profits. What are the benefits to fitting speed limiters? If fitted you will need to approach your driving in a different way and driver training will be provided if the need is identified. Driving in the winter is very different than in other times of the year. 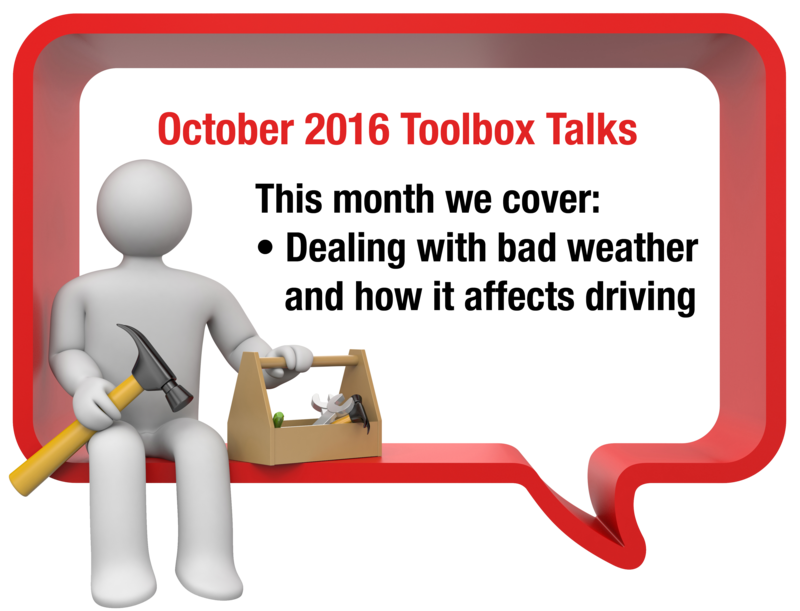 Adverse weather and longer periods of darkness makes driving more hazardous. Sometimes conditions can be extreme with prolonged periods of heavy snow and floods. Before each journey carry out these checks.